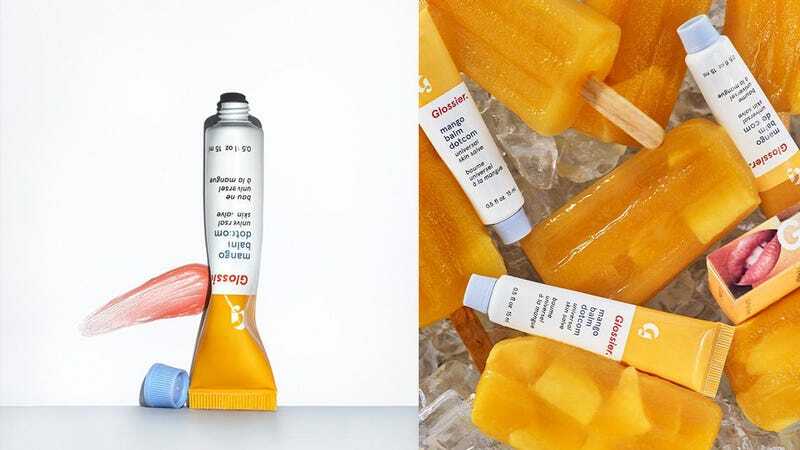 Glossier’s cult favorite Balm Dotcom is like Lip Smackers for adults, and today, they’ve added a brand new flavor to their already delicious lineup of balms. Just in time for warmer weather, you can coat your lips in the tropical Mango Balm Dotcom, which features a subtle coral tint. Mango joins fellow tinted balms Rose and Cherry, and is the first new Balm Dotcom to be released since the sparkly and sweet Birthday flavor was released in 2017 in collaboration with Momofuku Milk Bar. If you have yet to test out the wondrous creation that is Balm Dotcom, just know that it’s an ultra hydrating, super long-lasting lip balm/skin salve that’s made from natural ingredients, and even though you’re really supposed to be eating it, all of the flavors taste damn good. So try out Mango today for $12, or go all in on a Balm Dotcom Trio for $30.